Is it Dementia or Hearing Loss? 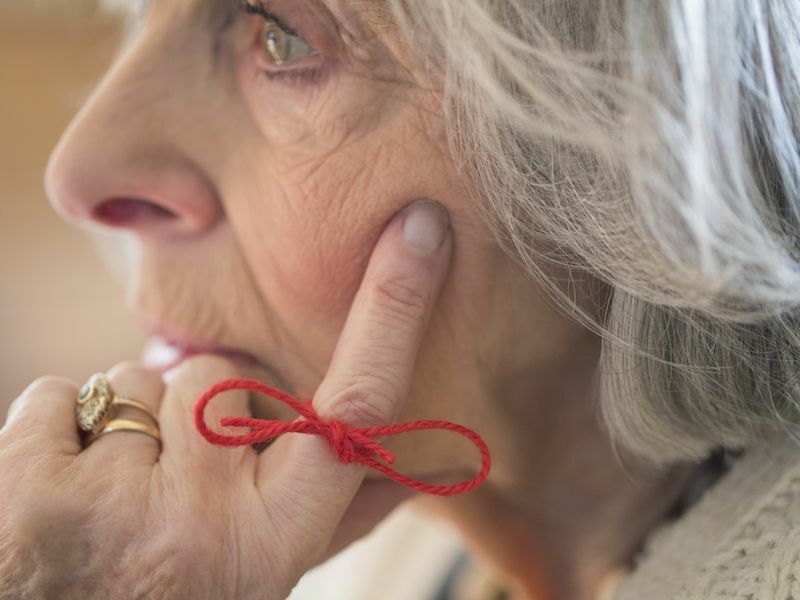 An inherent fear of Alzheimer’s disease runs rampant in seniors who struggle with the symptoms of memory loss and reduced cognitive function. But recent research indicates at least some of that worry may be baseless and that these problems may be the consequences of a far more treatable affliction. According to a Canadian Medical Journal report, the symptoms some think might be the result of Alzheimer’s may in fact be a consequence of neglected hearing loss. In the Canadian study, researchers looked for connections to brain disorders by carefully evaluating participants functional capabilities related to thought and memory. Out of those they screened for mental impairments, 56 percent had loss of hearing that spanned from mild to extreme. Astonishingly, a hearing aid was used by only 20 percent of those people. These findings are supported by patients who were concerned that they might have symptoms of Alzheimer’s according to a clinical neuropsychologist who authored the study. In some instances, it was a patient’s loved ones who recommended the visit to the doctor because they noticed memory lapses or shortened attention span. While hearing loss might not be the first thing an aging adult considers when dealing with potential cognitive decline, it’s easy to understand how one can mistake it for Alzheimer’s. Imagine a scenario where your friend asks you for a favor. As an example, they have an upcoming trip and are looking for a ride to the airport. What if you didn’t hear their question clearly? Would you try to get them to repeat themselves? If you still aren’t sure what they said, is there any possible way you would know that you were supposed to drive them to the airport? It’s likely that some people might have misdiagnosed themselves with Alzheimer’s because of this type of thinking according to hearing professionals. But it may really be a hearing issue that’s progressive and ongoing. If you didn’t hear what someone said, then you can’t be expected to remember it. It’s not surprising that people of an advanced age are experiencing these problems given the correlation between aging and the likelihood of having hearing loss. The National Institute on Deafness and Other Communication Disorders (NIDCD) reports that just 2 percent of adults aged 45 to 54 have disabling hearing loss. In the meantime, that number jumps considerably for older age brackets, coming in at 8.5 percent for 55- to 64-year-olds; 25 percent for 65- to 74-year-olds; and 50 percent for those 75-years or older. Gradual loss of hearing, which is a typical part of growing older, often goes neglected because people just accept it as a normal part of life. The truth is, the average time it takes for someone to get treatment for loss of hearing is about 10 years. Worse yet, less than 25 percent of people will end up purchasing hearing aids even when they really need them. Is it Possible That You Might be Suffering From Hearing Loss? Do I avoid social situations because holding a conversation in a busy room is hard? Do I always ask others to talk louder or slower? Do I have to crank up the radio or TV to hear them. Do I have difficulty hearing consonants? Do I have issues comprehending words if there’s a lot of background sound? It’s important to point out that while loss of hearing can be commonly confused with Alzheimer’s, science has proven a conclusive link between the two conditions. A Johns Hopkins study evaluated the mental capabilities of 639 people who noted no cognitive impairments, then followed their progress and aging for 12 to 18 years. The research discovered that the participants who had worse hearing at the beginning of the study were more likely to get dementia, a general term used to describe symptoms of diminished memory and thought. There is one way you might be able to prevent any possible misunderstandings between hearing loss and Alzheimer’s, and that is to undergo a hearing assessment. The current thought in the health care community is that this assessment should be a routine part of your yearly physical, particularly for people who are over 65. Do You Have Questions About Hearing Loss? We can help with a full hearing evaluation if you think there is a chance you may be confusing loss of hearing with Alzheimer’s. Make an appointment for a hearing exam right away. Call us today at 605-250-0539 or send in this form now.